My New Year’s eve festivities usually consist of going to a party where I can stay the night (too many checkpoints out there to drive), drinking lots of champagne, wearing a tiara, dancing, telling funny stories, watching the ball drop in Times Square, and kissing as many friends as I can. That’s what I’ll be indulging in tonight, and probably waking up with a bad champagne headache tomorrow morning--my hair in the latest bird’s nest fashion, makeup smeared face, and, hopefully, without anyone drawing pictures with a sharpie on my body. Yes, it sounds like a frat party, but my friends like to party like it’s 1999. Er, '89 in my case. In past years, I’ve gone to concerts and also just stayed at home with my hubby for a quiet evening. Remember Y2K? LOL. It seemed everyone stayed at home that New Year. Australia: Australians celebrate the New Year on January 1. This day is a public holiday and many people have picnics and camp out on the beach. They have parties that start on December 31 and at midnight they start to make noise with whistles and rattles, car horns and church bells to ring in the New Year. Austria: New Year's Eve is called Sylvesterabend which is the Eve of Saint Sylvester. They make a punch made of cinnamon, sugar, and red wine in honor of him. Taverns and inns are decorated with evergreen wreaths. Confetti, streamers, and champagne are also part of New Year's Eve. Evil spirits of the old year are chased away by the firing of mortars called böller. Midnight mass is attended and trumpets are blown from church towers at midnight. People exchange kisses. Belgium: New Year's Eve is called Sint Sylvester Vooranvond or Saint Sylvester Eve. The réveillon or New Year's Eve family parties are thrown. At midnight everyone kisses, exchanges good luck greetings, and drinks toasts to absent relatives and friends. The cities, cafés, and restaurants are crowded with people who bid farewell to the Old Year. New Year's Day is called Nieuwjaarsdag at this time of the year the children save money to buy decorated paper for writing holiday greetings to parents and godparents, and read the letter to them. Brazil: On New Year’s Eve local priestesses organize a ceremony that is dedicated to the goddess of water, Yemanja. A sacrificial boat laden with flowers, candles, and jewelry is pushed out to sea from Brazil’s famous Ipenama beach in Rio de Janeiro. On New Year’s day, people wear white clothes, as it is believed to bring them good luck and peace for the rest of the year to come. Great Britain: In Britain the custom of first footing was practiced. The first male visitor to the house after midnight was supposed to bring good luck. Usually they brought gifts like money, bread, or coal, which was done to ensure the family would have plenty of these things all the year to come. In London, people gather in Trafalgar Square and Piccadilly Circus to listen to the chimes of Big Ben as it rings in the New Year. Denmark: In Denmark it is a good sign to find your door heaped with a pile of broken dishes at New Years. Old dishes are saved year around to throw at their friend’s homes on New Years Eve. Many broken dishes were a symbol that you have many friends. New Year’s Eve is framed by two important items broadcast on television and radio, respectively the monarch’s New Year Speech at 6pm and the striking of midnight by the Town Hall Clock in Copenhagen, which marks the start of the new year. Many Danes party with various kinds of good food followed by champagne and marzipan ring cake at midnight. The New Year is greeted with fireworks after midnight which light up the night sky with many different colors. France: The French New Year is Jour des Étrennes, or Day of New Year’s Presents. Dinner parties are thrown for the entire family and people exchange presents and greeting cards. Germany: People would drop molten lead into cold water and try to tell the future from the shape it made. A heart or ring shape meant a wedding, a ship meant a journey, and a pig meant plenty of food in the year ahead. People would also leave a bit of every food eaten on New Year's Eve on their plate until after Midnight as a way of ensuring a well-stocked larder. Carp was included as it was thought to bring wealth. Greece: January 1st is an important date in Greece because it is not only the first day of the New Year but it is also St. Basil's Day. New Year is perhaps even more festive and important then Christmas as it is the main day for gift-giving and for stories of St Basil's kindness to children. He was said to leave gifts for children in their shoes. On New Year’s Eve, children sing carols and also on New Years Day. The first person across the threshold of the house on New Year's Day is said to bring the family good luck throughout the coming year. Hungary: In Hungary they burn effigies or a scapegoat known as "Jack Straw" which represents the evils and misfortunes of the past year. Burning the effigy on New Year's Eve is supposed to get rid of bad luck. India: The New Year’s festival is called Diwali, a festival of lights. People decorate their homes with little oil lamps known as diwa, which are used to drive out evil by replacing it with goodness. People try to finish any uncompleted work as Diwali marks the end of the year. Businesses pay of all debts and new account books are blessed before the New Year. It is a time for new beginnings. People give cards and gifts are exchanged. They make New Year’s resolutions and forget all quarrels for this time of year is a time to be happy and generous. Even the animals are washed, groomed and decorated for the festival. Japan: The Japanese New Year, Oshogatsu, is an important time for family celebrations, and is a time when all the shops, factories and offices are closed. It begins on January 1st and lasts for two weeks. To keep out evil spirits, they hang a rope of straw across the front of their houses, which stands for happiness and good luck. When the New Year begins, people begin to laugh, which is supposed to bring them good luck in the New Year. Korea: The first day of the lunar New Year is called Sol-nal. On New Year's Eve people place straw scoopers, rakes or sieves on their doors and walls to protect their families from evil spirits. Everyone also becomes one year older on New Year’s Day since Korean age is calculated at the New Year. Many people gather on the beach in the morning to watch the sun rise. Netherlands: People burn Christmas trees on street bonfires and let off fireworks to ring in the New Year and as a way of driving out the spirits of the old year. Poland: New Year’s Eve is known as St. Sylvester's Eve in honor of Pope Sylvester 1 who, according to legends, imprisoned a dragon called Leviathan in the year 1000. Portugal: The Portuguese pick and eat twelve grapes from a bunch as the clock strikes twelve on New Year’s Eve. The twelve grapes ensure twelve happy months in the coming year. Romania: On New Year’s Eve, children sing Plugusorul and Sorcova. In their songs, they wish good luck, happiness, and success. Leaving a lamp lit on New Year’s night until dawn is an old tradition to ensure that the New Year will be sunny and rich with harvests. Also, on New Year’s Eve, another custom is the Vergel which is a mysterious act meant to prospect the future, in which unmarried young people and their parents take part. The one practicing the Vergel will want to know what the future year holds for them and, most of all, if and whom they will marry. On New Year’s morning, some traditional families toss money into the water where they wash their hands, counting on the fact that this will bring them money during the entire following year. Scotland: New Year’s Eve is called Hogomanay or Night of the Candle. People prepare for New Year by cleaning their home and purifying it with a ritual or burning juniper branches carried through the home. The First Footer says that the first person to set foot into your home on New Year's Day decides the luck of the family for the coming year. South Africa: The New Year is rung in with church bells and gunshots. On New Year's Day there are carnivals where people dress in colorful costumes and dance in the streets to the sound of drums. Spain: Everything, including theater productions and movies, is stopped at Midnight on New Year's. The clock strikes midnight and everyone eats twelve grapes. They eat one grape for each toll to bring good luck for the next twelve months of the New Year. Sometimes the grapes are washed down with wine. Wales: At 3:00 to 4:00 AM on New Year’s morning, boys of the village go from house to house with an evergreen twig to sprinkle on the people and each room of their house to bring them good luck. On New Year’s Day, children roam the neighborhood singing songs that are rewarded with coins and sweets. I've always known that I wanted to be a writer. I know there are lots of conversations of the solitary life of writers, but I also know that within the writers' community exists a rare camaraderie. Writers are a lucky bunch of folks, exchanging tidbits among themselves. In recent months I have had the pleasure of speaking with several writers and they have been amazingly warm and forthcoming about their support. Some have even eagerly suggested writing tricks and others have offered to read my writing. Although I've been too busy and have not joined a local workshop group, I have writer friends who rave about the amazing support they have found sharing their work in a group of other folks who love writing. Writers lend their support to other writers as easily as they fill a blank computer screen. An even larger group of folks to tap into as a writer are avid readers. They often have marvelous insight into a writer's abilities...and inabilities. I've had lots of those recent conversations, as folks make gift recommendations, and have often learned a depth from readers than has astounded me and made me think, especially when I'm writing. So, whether a writer or a reader, I'd like to thank you for the influences you have brought to my writing and reading. Is there any book, any writer or reader who has influenced your writerly/readerly life? Give them a shout out now and celebrate what they have brought to your blank page. "Happy New Year!" to all the readers of WOW! 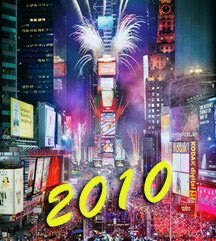 Women on Writing and may all your writing dreams come true for 2010! 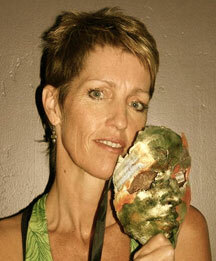 Elizabeth King Humphrey is a writer and creativity coach. Besides contributing to AOL's ParentDish, she blogs at The Write Elizabeth, delving into creativity in everyday places. Winter is known for its gray days and cold weather, which is often hard for writers to overcome. It's hard for me--right now, while the snow is falling outside and there's not a hint of sun, I'd like nothing more than to take a nice, long nap. But I write through--I have to because I'm a writer. So, what do I do to keep on writing through the long, cold, gray winter days? I use some of my favorite products that help my mood stay sunny and my brain stay awake. 1. 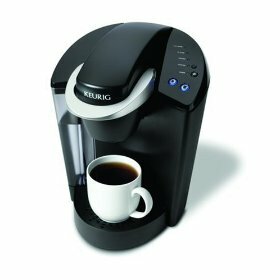 Keurig Coffee Maker: (pictured here) My husband surprised me with this yesterday as one of my Christmas presents. I saw one at my friend's house, used it in the fall, and I couldn't stop raving about it. If you aren't familiar with these coffee makers, you can make one cup of coffee, tea, or cocoa at a time with this machine. You use K-cups for your grounds, and there's no mess. It is absolutely amazing. So, when I start to get drowsy in the winter, I can now easily and quickly make myself a little coffee. While I'm waiting for the cup to brew, I can do a few stretches to help my "sitting" and "writing" muscles. 2. Honeywell Space Heater: Not that you have to have a Honeywell space heater--any space heater will do, but I love this one because it has a thermostat. It shuts off when it reaches the temperature that you want. It also shuts off if it is picked up or knocked over, like when my puppy, who likes to lay right in front of it, gets too close and hits it with his leg. I'm not sure how my brain works; but when my body's warmer, I write better. I just do. So, this heater helps me write through the winter blahs. 3. Bath and Body Works Wallflower Fragrance Bulbs: Smelling something good helps me feel more energetic when the day is gray. Maybe it's because my sense of smell is trying to make up for my sense of sight and tired brain. I love candles; but sometimes, they make me nervous when I'm shuffling a bunch of papers around on my desk. So, I also like these Bath and Body Works Wallflower Fragrance Bulbs that you plug into the wall, and they fill your office or living room (where ever you write) with any smell that motivates you. I like tropical, fruity smells--coconut scents remind me of suntan lotion, which reminds me of summer! LuAnn also just talked about getting motivated for 2010 in her great blog post on Christmas Eve. If you are feeling the winter blahs, read "Maintain Motivation in 2010," and use some of these tips, too. How about you? Do you have some sure fire way to work through the winter blahs and keep writing? Well, another Christmas has come and gone. I had way too much to eat, my kids got way too many presents from Grams and now I have to find room for all the new stuff. It looks like Toy-R-Us exploded into my living room! But now that the hoopla is over and things are calming down a bit, I feel like I can relax for the first time in weeks. I know we all get a bit more sentimental this time of year. My brother, Cam, has to be one of the most sentimental people out there. He sent me an email yesterday that touched me so much I had to tell all of you about it. Those closest to me know that Cam and I had a rough childhood. Our mother did the best she could with what God gave her but she just wasn’t strong enough to get help for her issues—not even for us. It was very difficult at times but, somehow, we made it. Cam and I were very close and I believe that closeness was what got us through to adulthood. And I also believe our experiences from our childhood made us more empathetic, emotional and more passionate about helping those in need, especially children. I’m so grateful for that because so many people either can never get over their bad experiences or become dark and we’ve both reached out in healthier ways to keep ourselves strong. I’m also grateful for my gorgeous kiddos. I was given children that have specific needs. Yes, it can be difficult on some days…very difficult on others…but it’s okay. I think I was given them because they needed something from me that only I could give them. And that, to me, is scary but so incredible. They give back to me and teach me new things every day. What would I do without them? I have great friends, a beautiful family…I’m very blessed. I think Cam’s email touched me so much because he showed me how all the tiny steps I’ve made throughout my life—even the most excruciating ones—have brought me to where I am right now. And I’m finally in a place where I can mix my experiences into my writing in a positive way. I have a great job as a writer because not only do I get to do what I absolutely love, I can set it aside and come back to it when my kids need me more. Writing has helped me through tough times, brought me close to some of the most fantastic people I’ve ever known and has taught me a lot about myself as a mother, a woman and what I’m capable of. OH! And did I mention that my brother is an amazing poet too? He pours all of his sentimental emotions into his beautiful poems. Our writing and other creative talents were the best part of my mother so I’m proud to carry those with me. Jaimie, my oldest daughter, reads far beyond her grade level and writes little stories too. I guess each tiny step we make in life really does take us to where we have to be, doesn’t it? What are you grateful for? How many tiny steps—or giant leaps—have you made to get you this far? How can you make those experiences into amazing top-notch stories? Be sure to take time each day to journal or write a story about them. Those are the true treasures you want remembered always. Author of “I’m Not Weird, I Have SPD"
Many of us dream of writing a book, finding an agent, and getting our book published by a traditional publisher. It's a dream come true for any aspiring writer! And while we're putting words on paper and watching our characters come to life, sometimes, in the back of our minds, we dream that eventually our book will be made into a major motion picture. Some of us even pick out actors who could play our beloved characters on screen. Why not? It's fun! These authors (below) had their dreams come true twofold. First, by getting their books published and, second, by seeing their words portrayed on the big screen. And the list is long. It gives us hope and reminds us that anything is possible. So as you're enjoying your Christmas day, and perhaps going to the movies with your family or watching a good flick at home, remember that a writer just like you probably had a hand in the film you're watching. 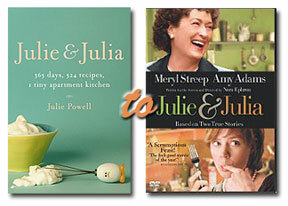 Some of them are obvious, like Julie & Julia, for instance, but others may surprise you. See how many you can pick out. Merry Christmas! Cast: Anna Faris, Bill Hader, Bruce Campbell, James Caan, Andy Samberg, Tracy Morgan, Mr. T.
Wow, what a list! I'm probably missing some, but these are the ones that I know of. If you've both read the book and seen the movie, what did you think of the adaptation from book to film? I'd love to know your thoughts! One problem I've dealt with in the past is maintaining focus on the prize. I may start the year with fountain pen or computer keyboard blazing, but winter doldrums fence me in, spring fever skips through my work, summer fun beckons for play time, and fall festivities fetch my fancy. In other words, life happens, and sometimes, those roadblocks slow down the journey to the goal. And, sometimes, goals shift or are left unmet during the year, causing motivation to wane when I need it the most. What I've discovered through the writing years is this: We are the choices we make. If I choose not to write today, that's my prerogative. But, if I make that choice, I shouldn't complain, I shouldn't let it slow down tomorrow's writing, and I shouldn't let it interfere with the long-term outcomes I would like to achieve. No, maintaining motivation is personal, but sometimes, it takes a village to raise a writer. Consider these four tips to keep inspired during the next 365 days. Establish writing time. When I first began freelancing, I kept a rigid schedule. That lasted about six months until I realized the schedule was cutting into my creativity. Now, I make a to-do list and if it takes me three hours to research a possible story idea, I go with it. I make it work. That's one of the benefits of being a freelancer. But, I also make sure that I spend a certain amount of time each day writing. I'm the most productive from 4:30 - 7:30 p.m., and from 10:30 - 1:30 p.m, so I let those times work for me. Find a time that fits your schedule and use it - even if you can only spare ten minutes - to write. Develop both short- and long-term goals. My visualization chart is a compilation of both. I like to plan my week and say to myself, Okay, here's what I would like to accomplish this week. But it's also important to have a direction to work toward. Otherwise, some pieces of work will stay on the back burner if you don't self-impose deadlines. Share your work with other writers. It's important to get other opinions, especially from colleagues. That's how you grow in your craft. This is an area I need to work on. I joined a local writer's group, hoping to share my YA novel, but most of the group wanted to be given a topic and then write about it. While that may work for some writers, it's not the type of critique I need at this point in my career. I'm still searching for an appropriate online group that will fit my needs. Celebrate your achievements. If an editor or a reader let you know how much they appreciate your work, celebrate! If you land a major article in a national magazine or sell a manuscript to a publishing house, celebrate! If you send a new query, celebrate. These moments provide impetus for writing careers, so go ahead, celebrate! I recently completed a three-part series for a regional newspaper, and an editor from one of my state's dailies sent a note to my editor, who forwarded it to me. In the note, he pointed out elements of my story that stood out. Trust me, I celebrated! I printed it out and have it directly behind my laptop screen so I remember why I write: to connect with readers. Network . Connect with other writers and editors, develop relationships, and maintain a professional but friendly demeanor. First impressions are lasting, and hopefully you'll set the right tone with others who, someday, may use your work. Learn a new skill. Even though the art of writing may change very little, we writers still need to keep our skills sharp. Attend a conference. Take a class. Buy new software that assists with writing. Learning a new skill and putting it to use will make you more marketable. I'm glancing at my goal chart and re-reading what I hope to accomplish in 2010. With a visual reminder, reasonable goals, and writer friends who encourage, I can't go wrong. Maintaining motivation won't be a problem this year. Happy Holidays! And, happy motivating! That was one of the questions the Insider asked their guests in their two-minute panel debate. While the arguments ensued it got me thinking about our industry, the book publishing industry, and just how twisted it is sometimes. The minute a scandal breaks, editors at major publishing houses frantically try to contract the involved parties or find writers to author books about the subject. According to ncbuy.com, several publishers have already contracted best-selling celebrity author Ian Halperin to "crash-write a book about Tiger." The site also reported that several of Tiger's mistresses are working on unauthorized versions of tell-all books and are "hoping to make some serious cash." I've never read a celebrity tell-all book, nor do I particularly want to. I can think of many other books I'd rather invest my time in reading. I'm sure there's a market for them, but sometimes I wonder why people want to "tell all." Take Mackenzie Phillips' most recent memoir High on Arrival. Was it the need to confess, make money, or help others who've gone through the same thing? To answer the question [should Elin write a tell-all? ], I'd say definitely not. At least for her children's sake. And for the rumor that she might appear on Oprah, who knows if that's true. But I think it's too soon. Now I want to know, what do you think of celebrity tell-all books as a writer or reader? A waste of time or useful information? If Elin decides to write a tell-all, would you read it? Have you read any good tell-all books that you'd like to recommend? Of late, I've been reading lots--and reading about lots--of different children's fiction. Throw in some of adult reading and nonfiction, assigned writing and many imaginary (and real) protagonists have invaded my mind. While not all are memorable or seem true to their own characterization, many authors succeed in doing both. Often when constructing a fictional character, we borrow bits and pieces from life. But how frequently do you learn something in real life--someone's romantic difficulties or a high-profile heist--and think to yourself, no one would believe this if it were in a novel? When developing my stories, I start down one road, sometimes making a flamboyant character, and question whether the reader will believe in her or in course of events. Sometimes I pare down how I might portray a person or an event thinking that by doing so, the reader will trust my fiction more. By doing so, I often find that my readers think the character less believable. Then I read someone else's fiction--a character in an incredible situation. The author has handled it so deftly, that a reader becomes engrossed...and, for pages and pages, believes. That's what I'm striving for. What about you? When developing your own believable fictional characters, do you stray from your own experiences and embellish elements? Or do you stay close to reality, maybe sticking close to the facts of an event or how people you know would act? "Happy Holidays!" to all the readers of WOW! Women on Writing. Elizabeth King Humphrey is a writer and creativity coach. Besides contributing to AOL's ParentDish, she blogs at The Write Elizabeth, delving into creativity in everyday places. Premium Green: A Supportive Network and Markets Galore! WOW! 's Premium-Green isn’t just market listings, it’s a guide with community benefits. For only $4 a month, you get a 100+ Page Ebook delivered to your inbox each month, and you’ll have access to a private community of women writers just like you! The 100+ page ebook has fiction markets, nonfiction markets, markets for women, anthologies, contests, niche markets, new freelance jobs, interviews with editors and freelancers, tips for being a writing mama, and tips from working freelance writers. Writer One: I write regularly for a regional magazine. My contract to date has allowed me to reprint my work three months after it is published in the magazine. They sent a new contract yesterday. This one says. . .(writer one quotes the part of her contract she's questioning). Am I reading this right? They are asking me to sign away all rights? There's no way I can agree to this. They could make a book of my work, publish it, and I'd gain nothing. Has anyone seen anything like this before? What did you do? I am going to call them to try to renegotiate. Sigh. Writer Two in response: Did they offer more money for all rights? I'm guessing not, but even if they did, this contract sounds very one-sided. Not only can they edit, reprint, and distribute, but they reserve the right to offer the rights to a third party. I'm assuming that means they can SELL your rights and receive the money themselves, and it means you have no control over what kind of mag your work might appear in next. Definitely call and see what's going on. Maybe you can re-negotiate or at least strike or modify a few phrases. Writer Three: They've opened negotiations, in my book. Since they are asking for all rights, you need to ask for more money in exchange for the extra piece of the pie they want. They want more - you want more. The average writer would take this and run. While I don't mind selling all rights to most magazine markets (few of them I'll ever use again anyway), I'd want to be compensated for the privilege. Writer Four: This is the first time I have seen a print periodical take this stance. Almost every digital publication requires you to sign a similar agreement. Reason is, they recognize the coming value in having a backlog of ready content online, and - you're right - for books and ebooks. With the electronic readers coming of age in the next couple of years, it will become easy to sell material as "e" formats. Publishers are preparing. I think we'll see more of that. I, personally, wouldn't agree to such a contract for work I contribute regularly. Maybe on a one-shot article. Kudos to you for reading the thing - many writers don't. Bottom line is, the rights to my work are valuable to me - I won't give them away. If someone wanted to buy all rights, the price would be significant. I just launched a new project 100% based on writing I have done over the past four years. Good thing I own the rights! Writer One (responding to all who responded to her original question): Good info everyone. Thanks. I agree with you. Most of the time I am willing to write a new story. I have lots of words inside me! I've decided to dig my heels in regarding two situations here. I write a first-person column (essay) for the magazine. Often the stories I tell are very personal. I won't sign them away. Second, I do food articles where I come up with original recipes. I won't sign off rights to my own unique recipes. I've sent this information, in a kind message, to "corporate." We'll see what the lawyers say. So, as you can see from this actual example of a recent WOW! PG discussion, you can find support on the PG boards and knowledgeable freelancers working in the field. If you have a question or problem, chances are someone from Premium-Green can answer it or knows someone who can. Plus you get the 100+page ebook for $4.00 a month. PG members will sometimes post contest information or submission calls on the PG boards only and no where else. Recently, there were discussions about ghostwriting and how much to charge, starting a hometown blog, questions about getting paid from a certain market, and a proud mom sharing a beautiful poem her daughter wrote! If you don't know what to get a writer this holiday season, try a Premium-Green subscription. Or if your spouse or significant other is still wondering what to get you. . .here's the answer. And your subscription is an expense to build your writing career, so you can claim it on your taxes! At my last writer's group meeting, one of my friends was shocked when I related my National Novel Writing Month experience. Not the part about me writing almost 40,000 words. Oh, no. He couldn’t believe I’d actually do a rewrite! I guess I’m what you’d call the bust-it-out writer in the group. I’m always rushing essays or short stories or queries out into the world. But that doesn’t mean I’m a write-it-once, then send-it gal. I wish I had that kind of talent. But the truth is, whether I’m writing 40,000 words or 400 words, I revise, edit, and rewrite. 1. The first draft is my bust-it-out piece. It’s almost always too long and a bit on the rambling side. That’s okay. The idea is to get ‘er done. want to say has to go. No matter how prettily I’ve said it. 4. I’m always surprised at the little things I’ve missed on the second draft. corrected and ready to make its way out into the world. My novel is hanging around now, the get ‘er done stage behind me. I’ll tackle the next step come January. Because that’s one heck of an edit, and honestly, I’m in shock, thinking about the rewrite! 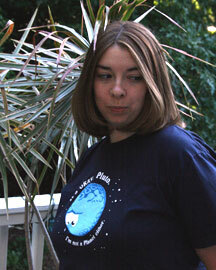 Cathy C. Hall is a writer and humor columnist who lives in the metro Atlanta area. When she's not writing about the funny real stuff in her life, she's making up wild stories for adults as well as children. Find out where she's been published lately by visiting her website at www.cathy-c-hall.com. Or drop in at her blog at www.cathychall.blogspot.com. I don’t know how your 2009 was but in our household, it’s been a true roller coaster ride. We’ve had a balance of good and bad because, as my dear grandfather used to say, “You can never learn to appreciate the good without a struggle or two mixed in.” And, good or bad, these are the things we draw from in our writing. This is the time of year I usually get myself organized—getting rid of all the old stuff piling up to make room for new and exciting things to come. I thought I’d share my Top Ten Writing Goals for 2010. Ready? (10) Weed out my ideas. I have a brain that’s constantly on the go. It never seems to rest. Now for some things, like caring for four kids, this isn’t such a bad. But for writing, this can be a disaster because you end up having millions of half-finished projects. Pick out the projects you really want to do—what keeps your passion up—then toss the rest. Weeds have a tendency to choke out the beautiful stuff so just get rid of them. (9) Prioritize. One thing I realized this past year, especially when all four of my kids and me got sick, is that I can’t do everything. When you try to do it all you get nothing done. What are the important things in your life? What do you really want to accomplish? What is your main focus? Once you figure these things out, you put them at the top of your list and make those things your priority. Everything else has to work itself around those priorities. (7) Exercise. Okay, this may seem really strange since I have four kids to run around after but this is important. Exercise for me gets both the brain and body going. It gives me renewed energy and pulls all the different components of my being together so I feel complete. It goes along with feeling organized: Organizing the inside makes the outside seem easier to deal with and organize. (6) More “Me Time.” Yeah, yeah…we’ve all heard people say this to us but I don’t do it. I’m going to make sure I take more time for myself whether it’s going out with my friends or going to a yoga class up the street or just going for a walk by myself. Essentially, I have three focuses: My children (especially helping them cope with their special needs), my writing, and the work I do in the SPD community. I love all of those things but those aren’t the only things that make up who I am so having that precious Me Time reminds me of who I was before all that stuff. It rekindles my inspiration and that’s so important. (5) Being more realistic. I have a bad habit of taking on a lot more than I can chew. It’s not that I can’t say “No.” It’s more that I get asked to do some amazing things and I just want to do it all! Being realistic is a step above prioritizing. Here you’re reminding yourself of those things you put on the forefront and understanding what your limits are at a given time. Having the strength to say, “You know I’m stoked that you’d ask me to do this project but I am not able to give it the attention it deserves. Maybe contact me _____ and we can chat about it then,” is an amazing thing. You’re being honest about what you’re able to handle while still keeping that contact for the future. (3) Marketing what’s out there. Okay, this is a big one for me because I’m normally a very reserved person who isn’t always comfortable putting myself out there. The year 2009 marked a wonderful year for me with some exciting projects I’d been working on for years finally out there. The thing is…now I’ve gotta make sure it stays out there. So one of my biggest goals is to market myself as best as I can. (Anyone with some pointers on this is welcome to leave a comment or write me any time. Seriously.) I’m going to be doing interviews (I actually have my first radio interview scheduled in early January. AHHH!!! ), book signings and all that stuff I’d shied away from before. Oh boy…I’m nervous just writing that goal. LOL! I think the only other thing I’d put on my list above anything else is to spend more quality time with each of my beauties. Mama had a busy writing year and there have been times where I’ve worked with kids on my lap, working on the computer beside me or with them playing around me—the downside of working at home with little kids. But I’m not going to feel guilty about putting work aside once in awhile to focus only on my kids. Besides, they remind me how to have fun and what’s truly important in life. Okay, that’s some of the stuff on my list. What are your goals for 2010? We’d love to hear them. Stuck in a rut and unsure of how to get the creative muses to delight you once again? Try these surefire sensory tips that will let the words flow. Move it. When I lose concentration or when the words don't come easily, I move to a new location. Sometimes, I take my laptop and move from my office to the kitchen or bedroom. Other times, I saunter out to my deck and take in what's happening outside. And yet on other occasions, putting words on paper instead of typing, makes all the difference. Look around. Pictures may be worth a thousand words. Or maybe even an entire novel! Those times when I can't seem to get a handle on a character trait, I look through my photo albums and look at what's going on. Another visual attack on writer's block is to visit a museum. You'll be amazed at how details stand out. Read it. When I find a publication I think I would like to write for and I can't come up with a topic that will translate into a sale, I peruse the newspaper and look at every advertisement. I've come up with several articles from ideas generated off a 2x2 ad. Listen carefully. Working in complete silence does not bother me, but when I'm developing ideas, I like music to blare in the background. I have an eclectic mix on my iPod, and it generally takes a couple songs to pump up the volume - and the possibilities. Taste it. Trying to come up with specific details? I'll grab a piece of fruit and slowly note the details of what I'm tasting. I usually amass a sizable list of words I can add to what I'm working on. 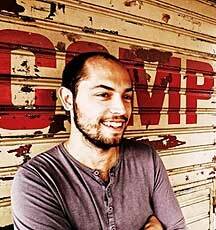 Noah Pedrini has always felt a strong affinity for the written word and wanted to be, more than anything, a writer. Taking some creative writing courses in college, it wasn't until relocating to Buenos Aires in early '09 when he began writing in earnest. Inspired by the city's strong literary history, he embarked upon the never-ending process of honing his craft, writing regularly, and joining a weekly workshop of expat writers. When not writing, he makes art out of found notes, plays fingerstyle blues guitar, and travels. WOW: Welcome to The Muffin, Noah. Let's get started with learning more about your award-winning story. Where did you come up with the story idea for "Rose?" Noah: There is a shopping district in Boston called Downtown Crossing. It was right around the corner from the college I attended. Almost every time I'd walk through there, I would see a lady selling roses--the same lady--and though I never bought any of her roses, she has stayed with me ever since. There was something I found fascinating about her--her expressionless face, her hollow eyes, and the slow, even way in which she moved. around in my head until I arrived at the loose idea for the piece that became "Rose." That is how ideas seem to come to me: ideas bounce around in my head, narrowly missing each other, until two or more have a magical accident and collide to suggest a story. WOW: What a fascinating process. The important thing here is to let ideas have time to bounce around! What are the themes you are exploring in this flash fiction piece? of alienation because she works alone at a difficult job--because she is an immigrant maybe. The blind couple feels alienated too; but for them, the alienation comes from the fact that they are left unable to see the society of which they are a part. physical slowness is conditional, the reader (hopefully) sees an analogy in the contrast between the two and is left with a sentiment of not hurrying through life, living enough in the moment to enjoy the simpler things such as the smell of a rose. WOW: You did explore both those themes really well in your story, which is definitely why you won second place. All that in just a few hundred words is amazing! Your descriptions are very rich and vivid! How do you go about writing such great descriptions with such a small word count? Noah: Thanks. I really enjoy writing description. More often than not, for me, I stare into space until I've managed to put myself close enough to whatever it is I'm trying to describe, so that eventually some part of its essence steps forward. I think that the key to effective description, particularly with respect to a small word count, is to make it do more than just describe the setting, characters, etc. In addition, it must do things like establish the story's tone and reiterate its themes. WOW: That's great writing advice, especially for flash fiction writers! I must repeat it. Setting "must do things like establish the story's tone and reiterate its themes." Do you enter a lot of contests? If so, why? If not, why did you decide to enter WOW!'s? Noah: Being the solitary, often grueling activity that writing is, contests give writers (especially the new ones) the burst of confidence it takes to keep at it through all the bouts of writer's block, brutally honest critiques, and pieces that seem to go nowhere. I submitted this piece to the WOW! contest and one other; those are the only two I've entered so far. I don't recall how I heard about it. There are a number of excellent websites that list fiction contests of all kinds, I think it may have been through one of those. WOW: We hope this contest gave you the boost you needed to keep at it! Your bio said that you recently moved to Buenos Aires, and that's when your writing took off. What is the reason for this? comes from introducing myself to new places and people and putting myself in new situations. strong to this day. The city hosts the largest book fair in South America, and its café culture is very conducive to writing. Borges and Cortazar are its most well-known authors, but only a few of many brilliant writers that call or have called this city home. Also, a growing number of expatriate writers have relocated here from abroad, and a number of excellent resources exist to support that community. One I wholeheartedly recommend is Writers in Buenos Aires . Anyway, I feel very fortunate to have found myself in Argentina and for the role living here has played in reigniting my longstanding interest in writing. WOW: It sounds like a fascinating place to be living and writing, and we are glad that it inspired you to write "Rose." What projects are you currently working on? people's lives. What's more, they make great writing prompts! Of course, I am always working on writing new pieces and rewriting older ones and trying to improve at a craft that is at once dreadfully difficult and singularly fulfilling. WOW: The Post-it note project sounds really interesting, and I bet you do learn a lot. Writers' imaginations can often run wild with the littlest bits of information, too. Good luck to you, Noah, with that project and the rest of your writing!